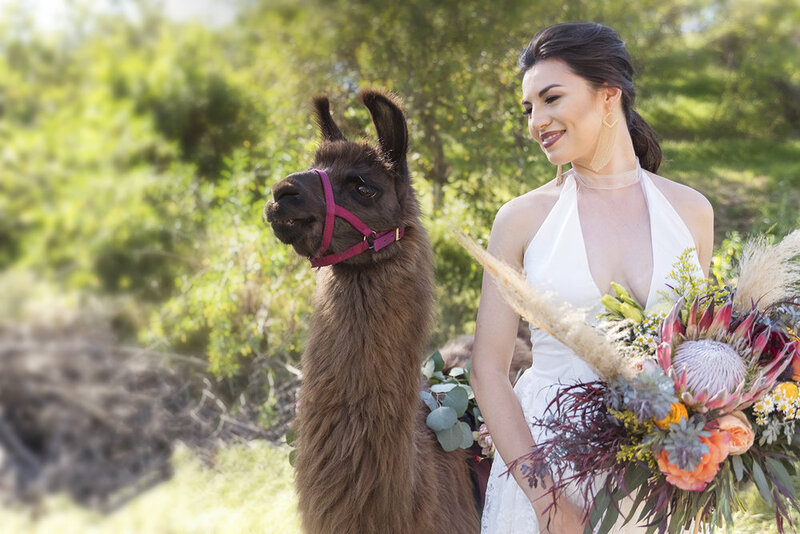 When I first heard Boho, Llamas, macrame, wedding all in one sentence I knew I had to be there. 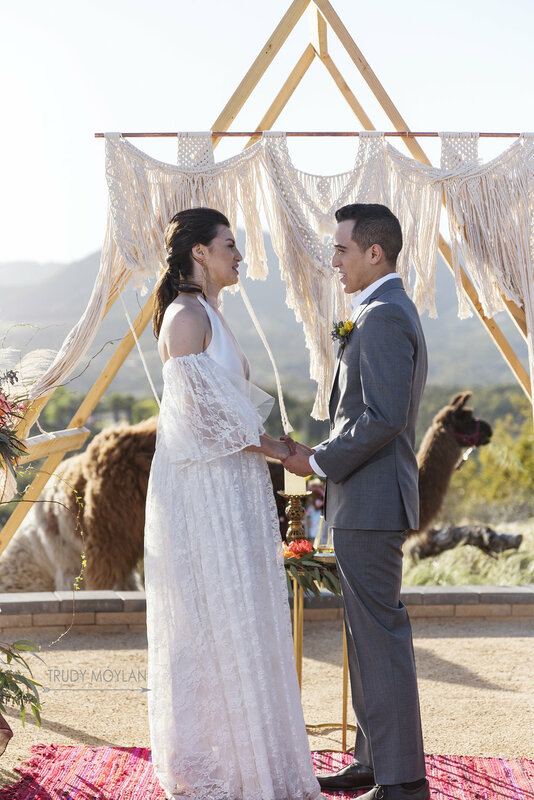 This gorgeous, whimsical & elegant boho wedding had me swooning with all the gorgeous details, and one more time... Llamas!!!! 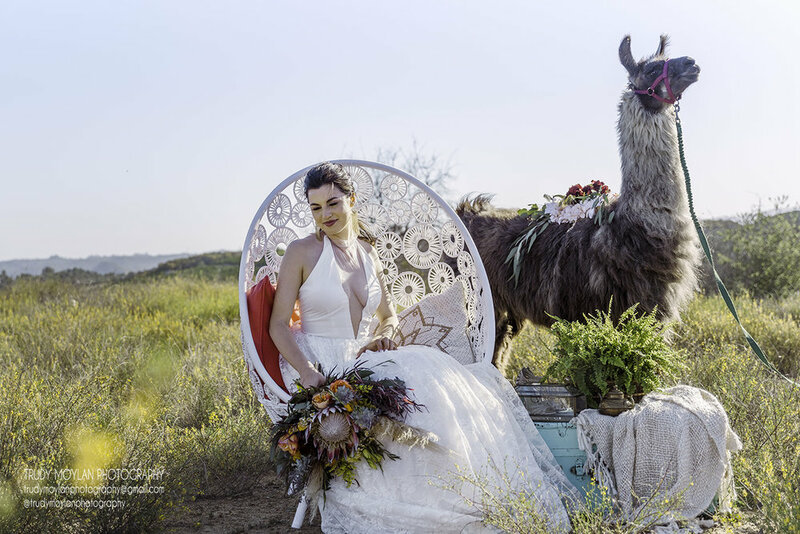 There were 3 beautiful fun Llamas in attendance that sunny day in Temecula. Cleo, Ruby & Espresso. Forget everything you already know about boho & look at these details! The amazing handmade Macrame, the gorgeous florals, llamas & show stopping cake made this wedding so unique. 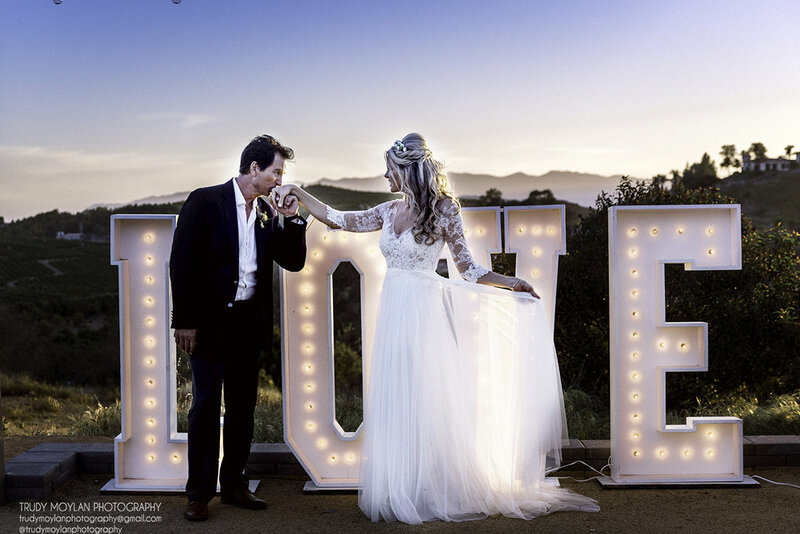 The venue Emerald Peak is such a magical location for your own boho wedding in Temecula, CA. 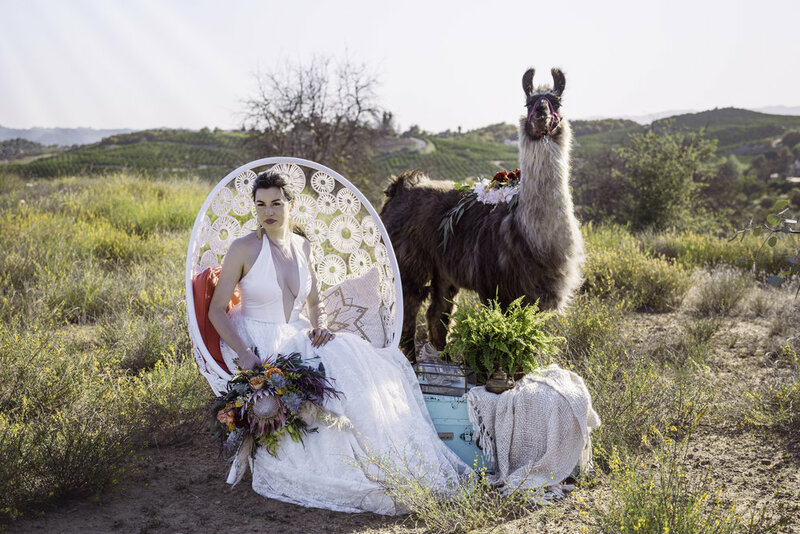 There is variety from lush scenery to gorgeous peak top views of Temecula wine country. Please visit Strictly Weddings to see the full blog.